1. Go to the Accounts page in Edgar and click the Twitter button. 2. 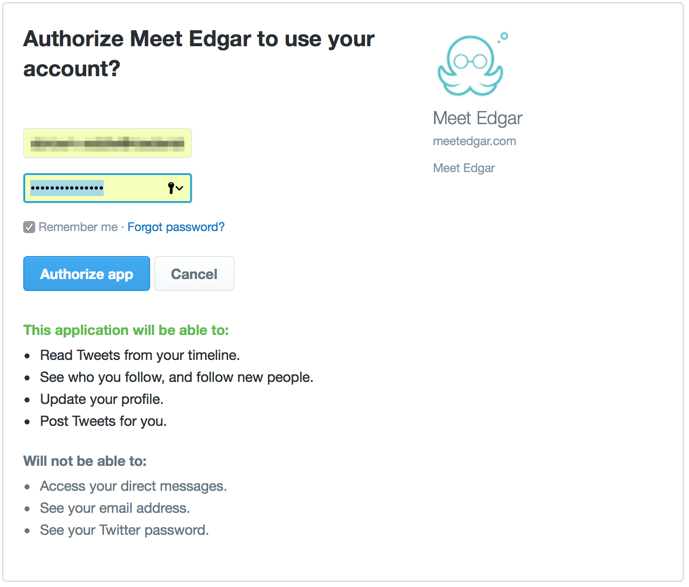 Twitter will ask you to authorize Edgar. Enter the log in information for the account you'd like to add and click Authorize app. 3. To add additional Twitter accounts, just click the Twitter button again!